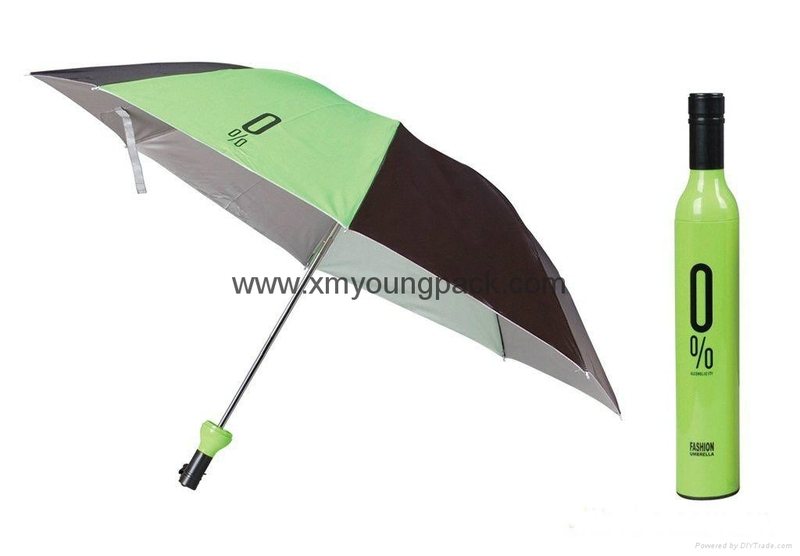 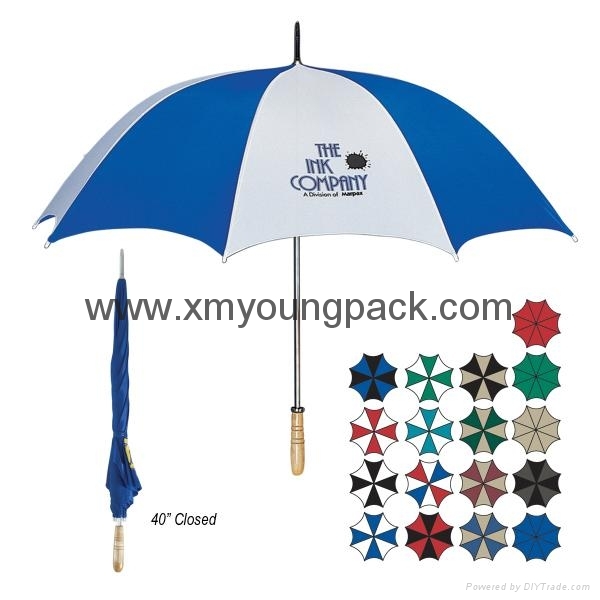 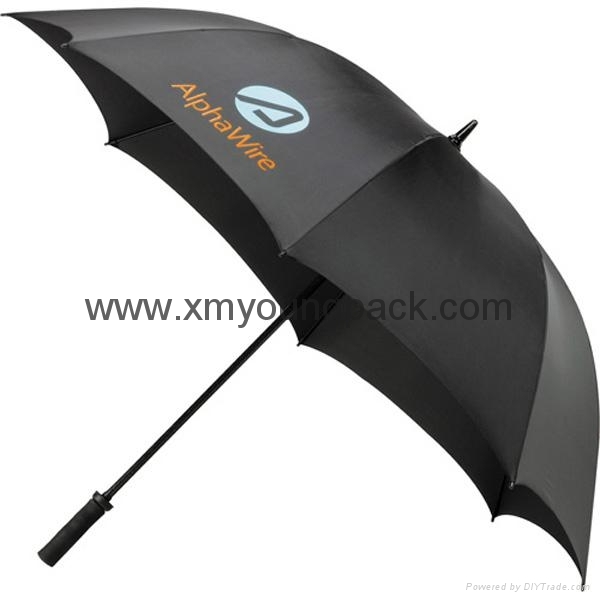 Protect yourself when playing with the Folding Golf umbrella. 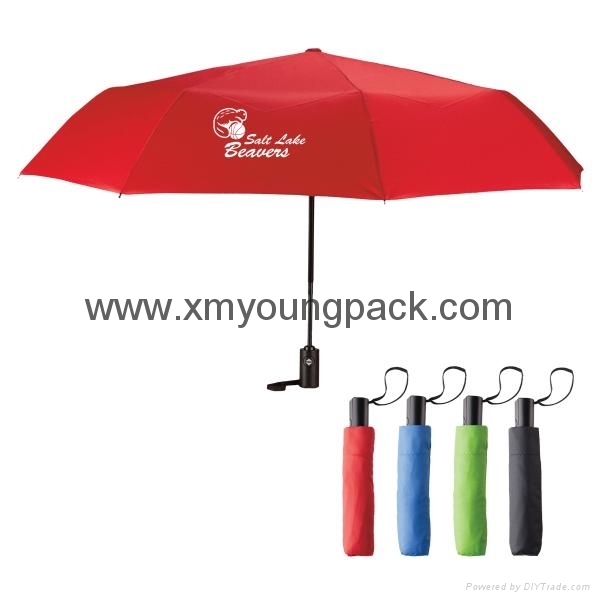 It opens automatically and features a soft foam grip handle with wrist strap, a sturdy two section hexagonal folding metal shaft, fiberglass ribs, and large nylon canopy. 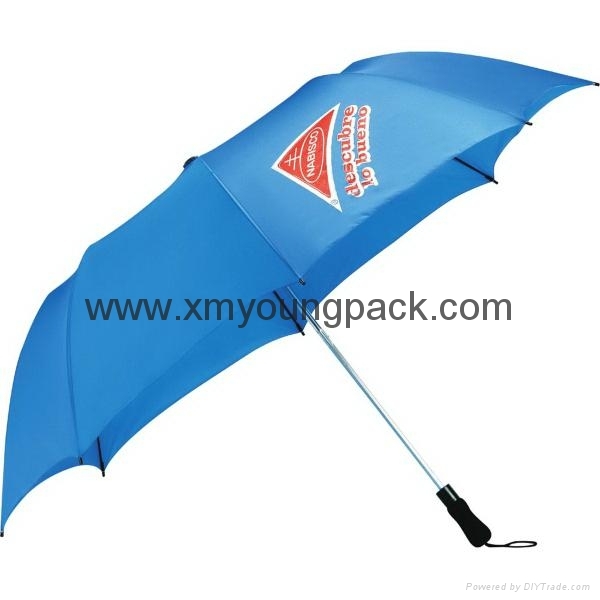 It comes complete with a matching case that includes shoulder straps. 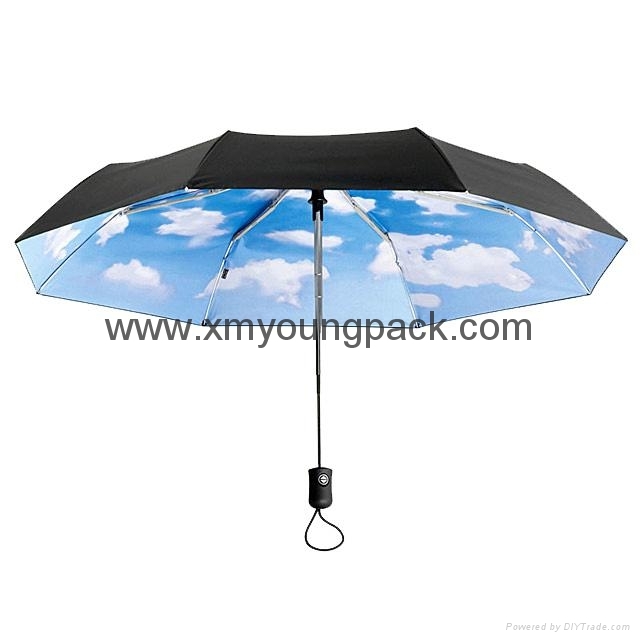 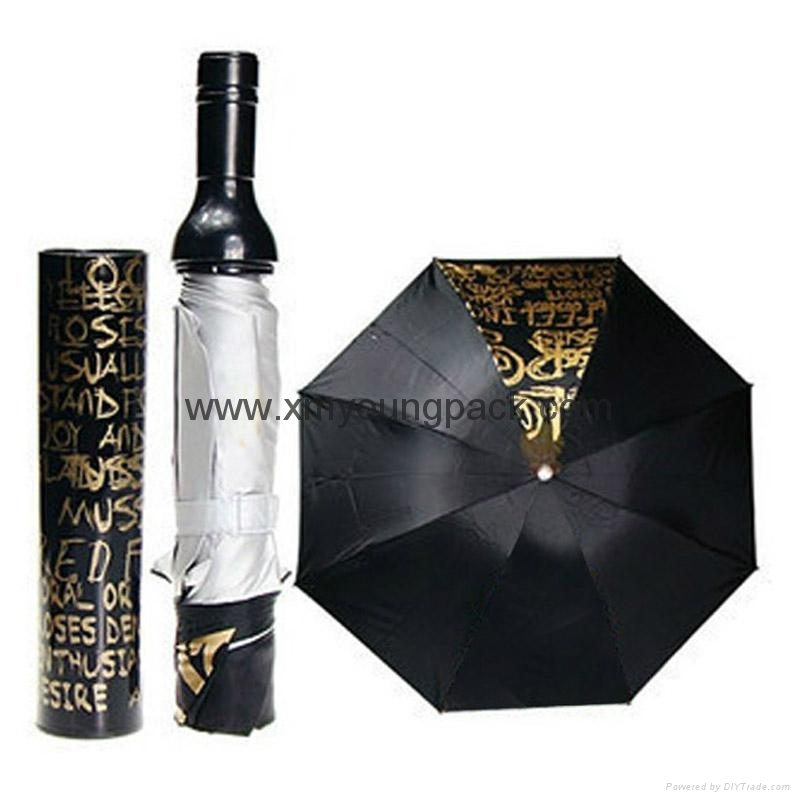 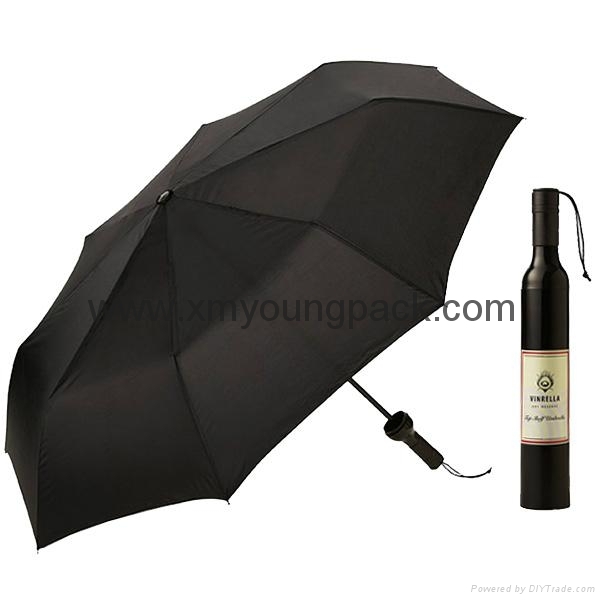 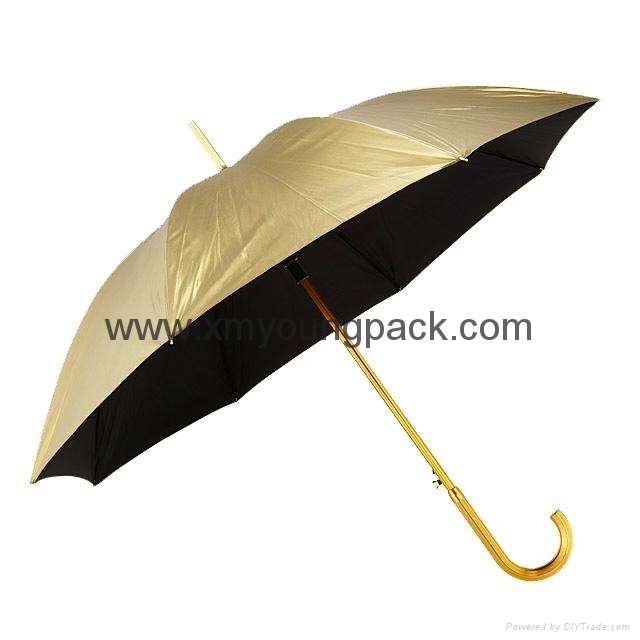 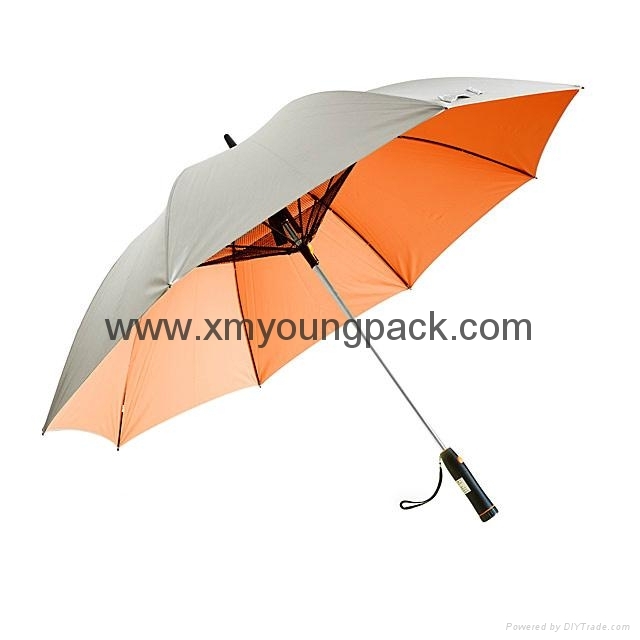 Use it to protect from the sun on hot days or from light rain. 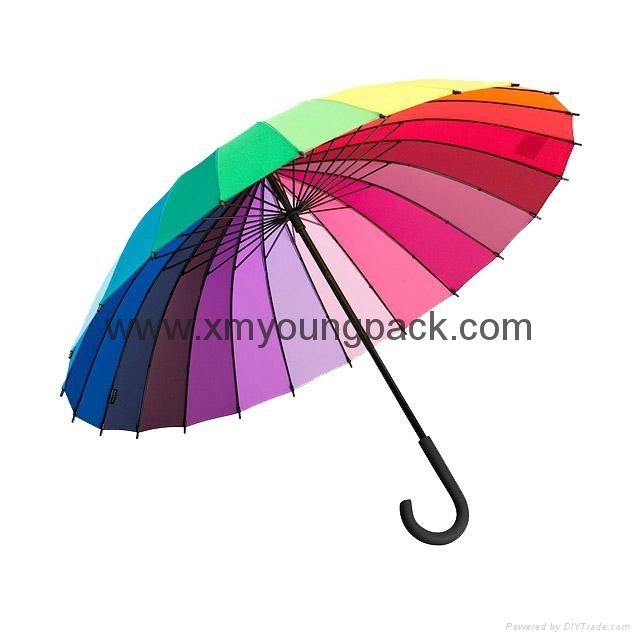 Silkscreen is available for logo imprinting.